All About Sports Cards: 2010-11 Panini Dominion Hockey Is Sold Out But You Can Still Win a Box! 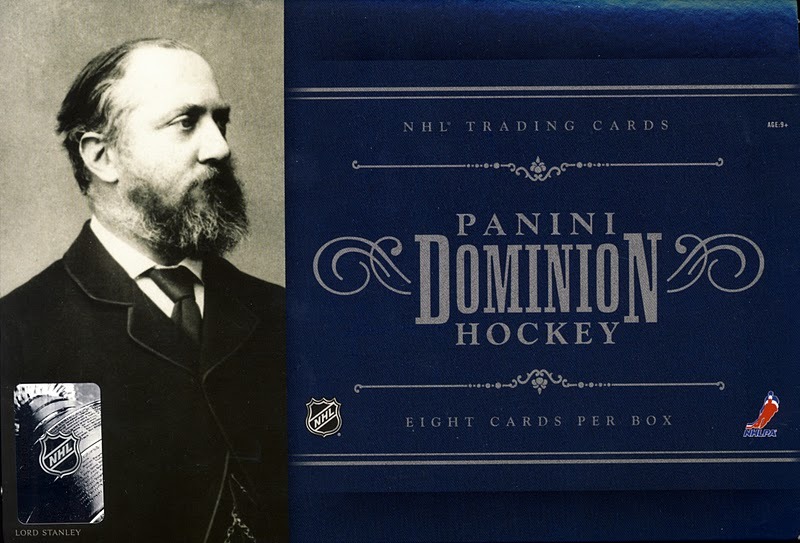 2010-11 Panini Dominion Hockey Is Sold Out But You Can Still Win a Box! This is really exciting news from Panini America that was just released on their blog, The Knight’s Lance. You know have a chance to win a box of 2010-11 Panini Dominion Hockey cards directly from Panini America. I’m not going to even try to alter the copy because I want you to read this now and get yourself entered as fast as you can. It would be great if one of our readers here at All About Cards won a box of these incredible cards. Please remember, this is Panini America’s contest, not ours, so make sure you follow the rules. So here it is directly from Panini’s blog. Panini America officials announced today that the company has completely sold out of 2010-11 Dominion Hockey after just one week on the market. And judging by how well the high-end hobby newcomer has been received by collectors, it won’t be long before the product vanishes from dealer shelves as well. Head to your local hobby shop anytime between tomorrow (September 23) and Sunday (September 25) and buy a current HOBBY box of 2011 or 2010-11 Panini America trading cards. Post a video or pictures of your bust on the Panini America Facebook page by 11:59 p.m. (CST) Sunday night. The video or pictures from your bust need to CLEARLY show the receipt from your purchase for verification purposes. On Monday morning, we’ll spend some quality time perusing all the eligible entries and select two winners at random to receive one box of 2010-11 Dominion Hockey. It’s that simple. Doing something you love, supporting the hobby and a chance to win. Sounds like a good way to spend the weekend to us.